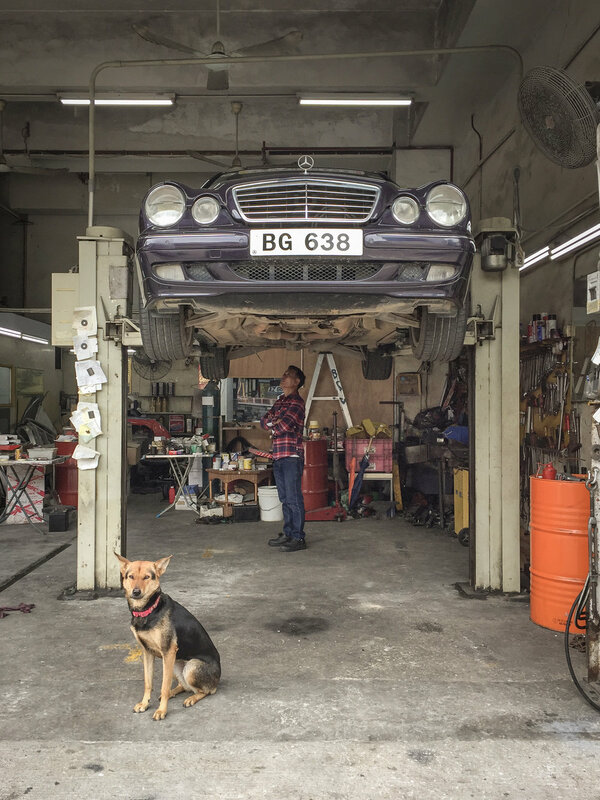 Garage Dogs. 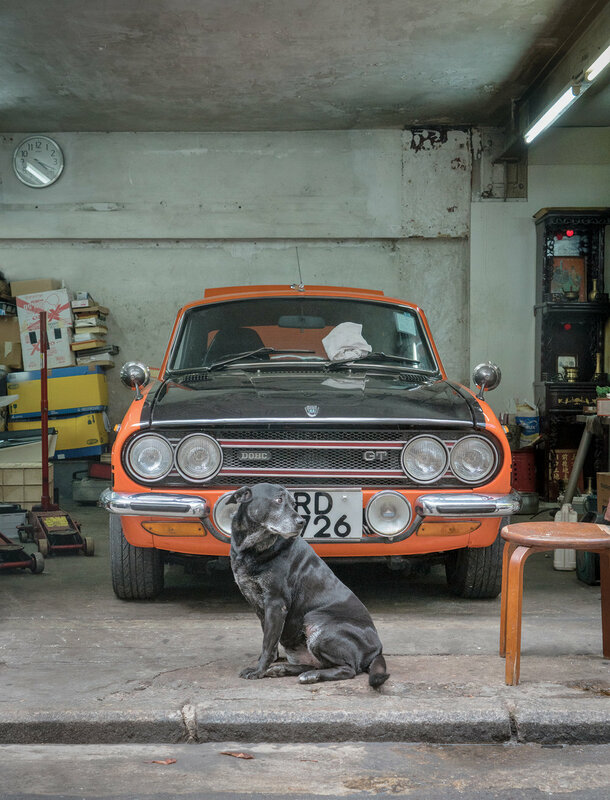 The dogs’ gruffer yang to his cats’ fluffier yin reveal an unapologetically masculine world of car parts, engine grease and tough love. 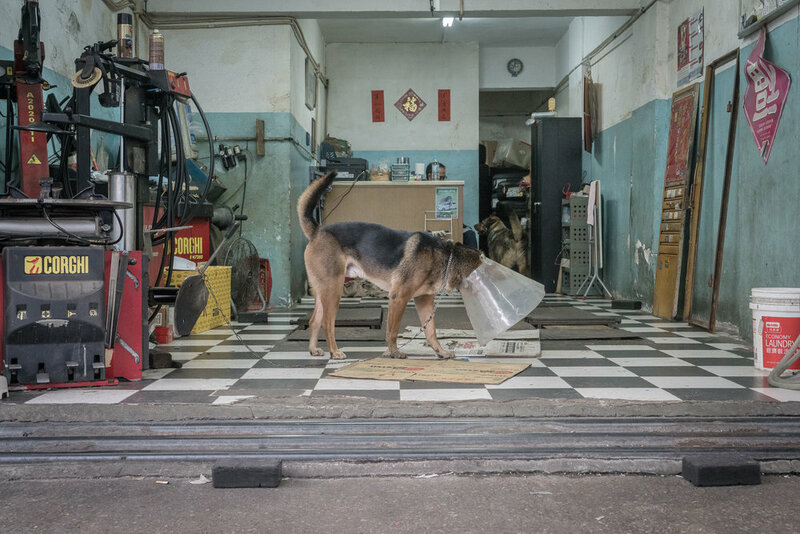 The dry humoured haikus by Grace Chia translate the telepathic messages between owner and guard dog, epitomising the human-canine bond that has made dogs man’s best friend for centuries. 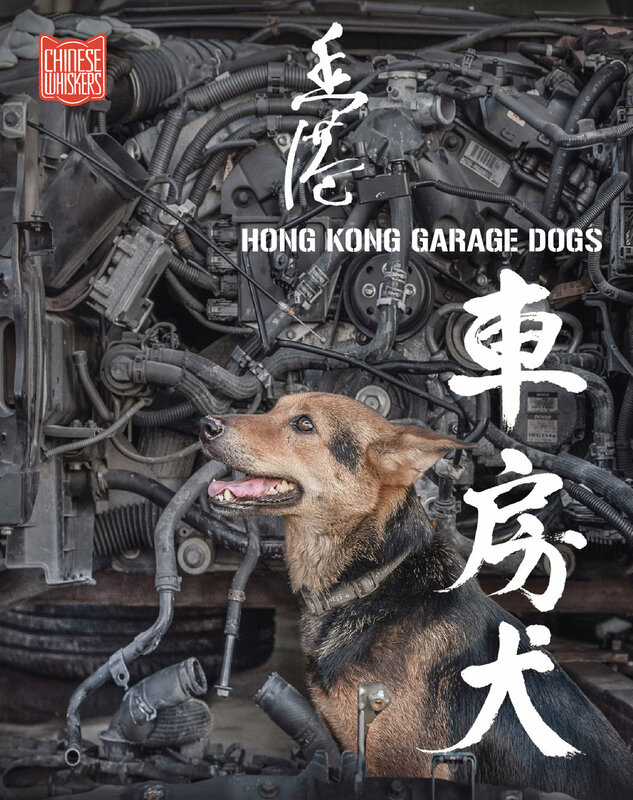 Shot during the Year of the Dog, follow Marcel’s journey through the back streets to meet these loyal security personnel, paid in dog lunchbox leftovers and the occasional tummy rub. “As with the first two books, the discovery of the subject matter was more happenstance than premeditation. 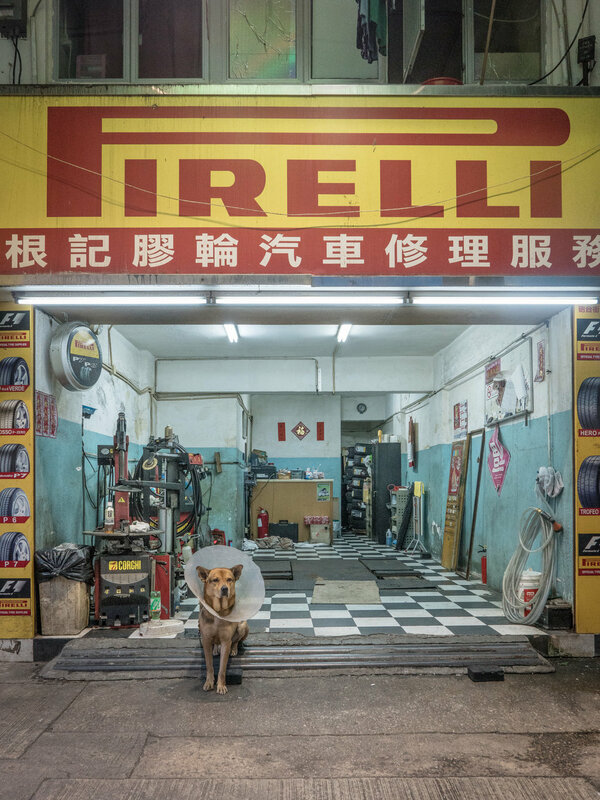 A few people suggested that I should feature dogs after the cat series, but I initially saw no reason for it, simply because I rarely spotted dogs that blended in with Hong Kong’s urban environment as well as the shop cats do. 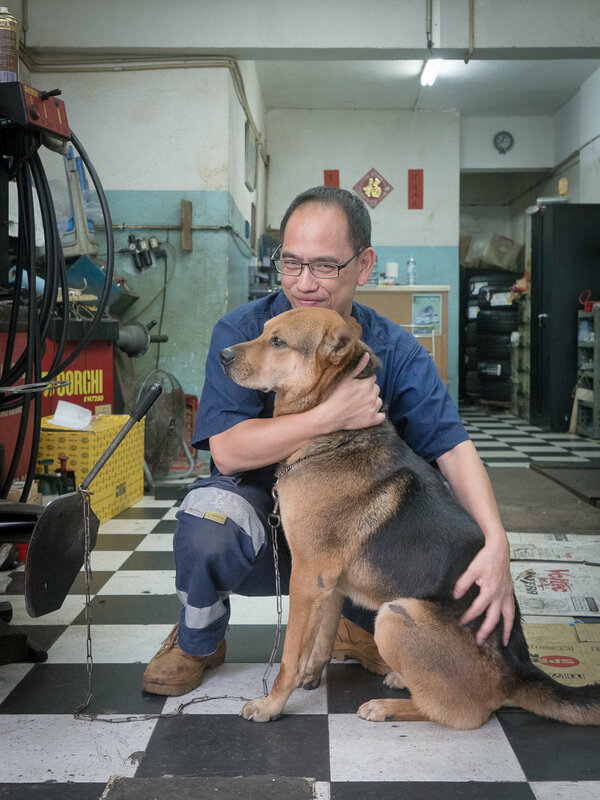 Then, while on a break during the reprint of the first shop cat book, I took a stroll through the industrial Chai Wan estate and met Shu Shu, the cover dog, just a bone’s throw away from the printer’s location. 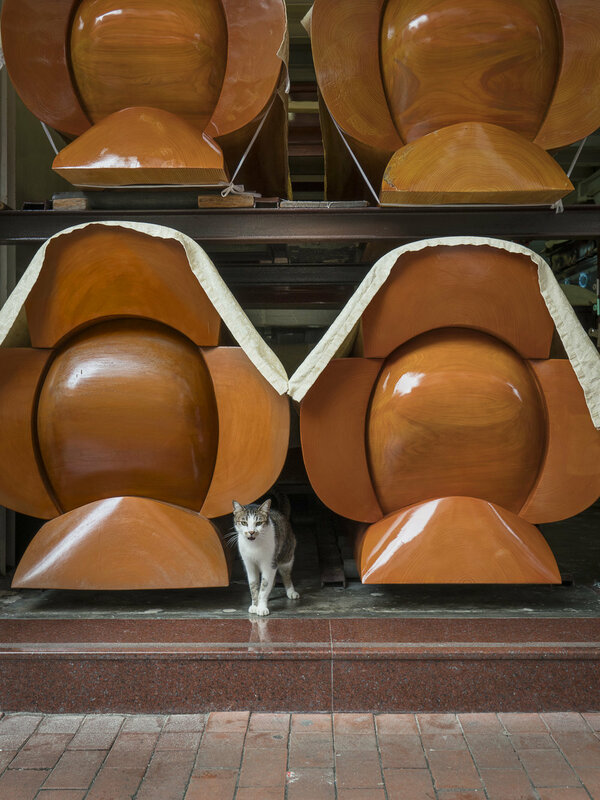 Hong Kong’s shop cats are the little emperors of their retail kingdoms. 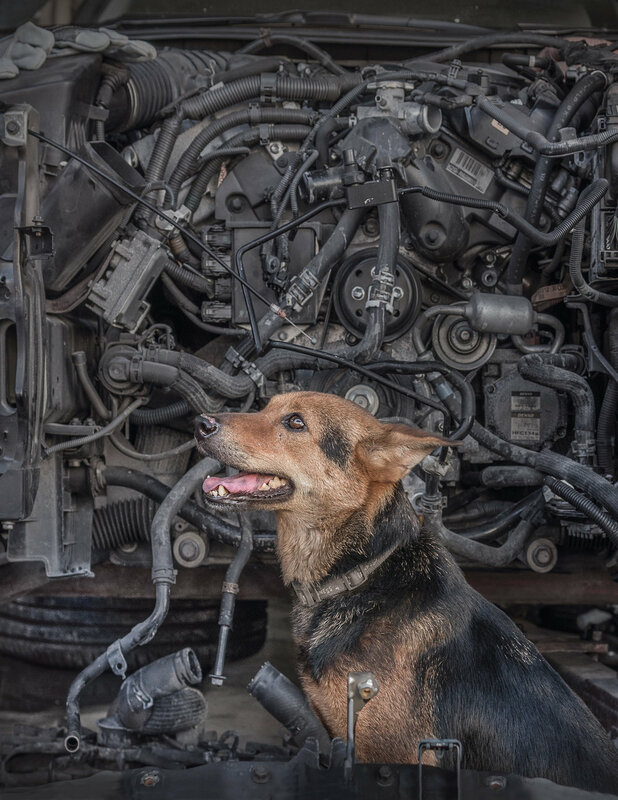 When photographer Marcel Heijnen moved to the city he was immediately drawn to these photogenic mouse-hunters, and this project is the charming result. 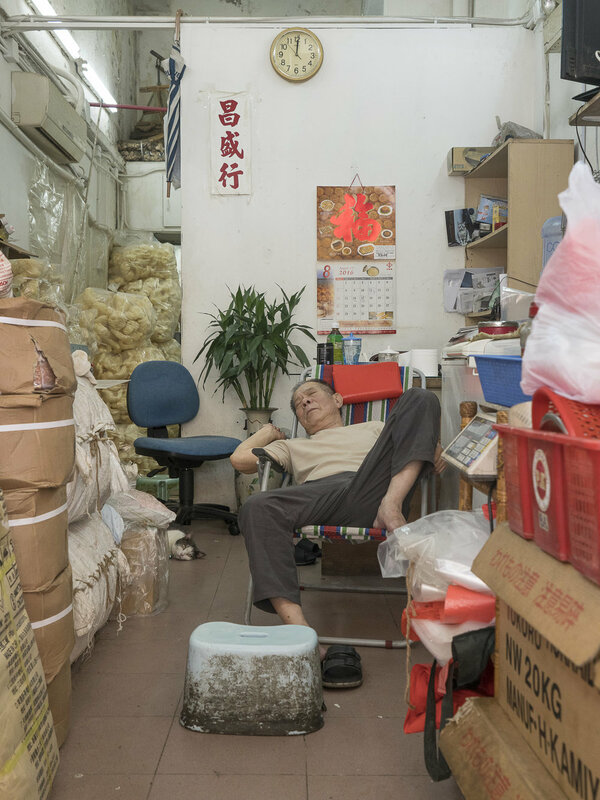 While the cats are undoubtedly the furry celebrities of his photographs, each shot delivers an insightful context of Hong Kong’s traditional trades. 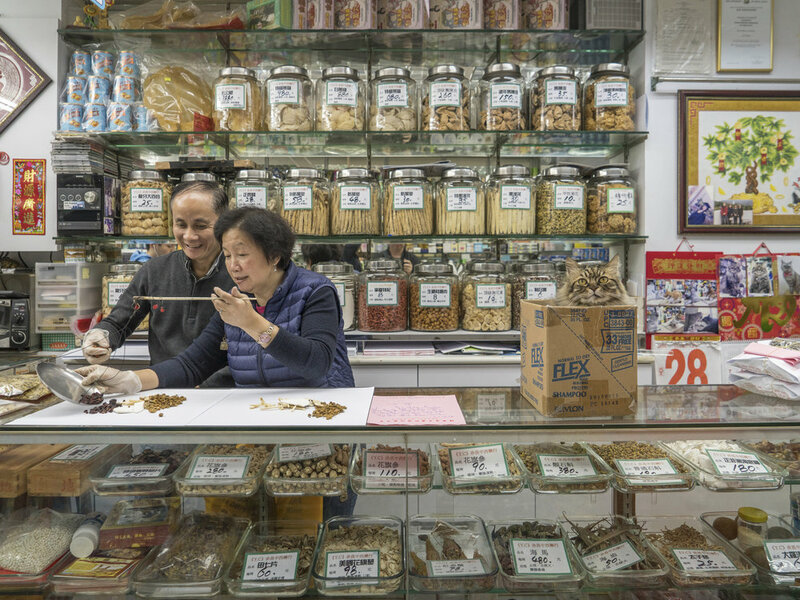 From dried fish and rice to paper offerings, the backdrop of each shot presents a portrait of Hong Kong’s local culture. 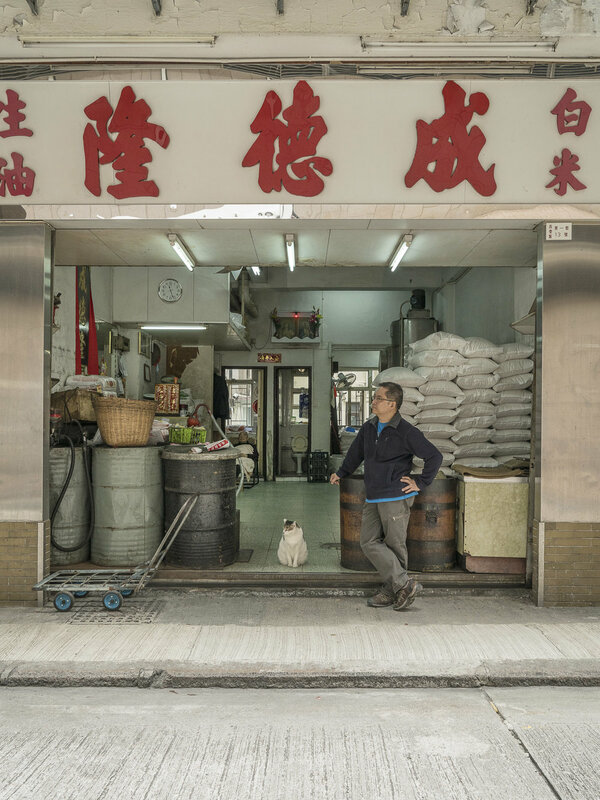 Hong Kong Shop Cats is a quirky project bundled in a book consisting of a series of photographs by Marcel Heijnen, cat stories by Catharine Nicol, haikus by Ian Row and calligraphy by old master Taiyuan Sensan. 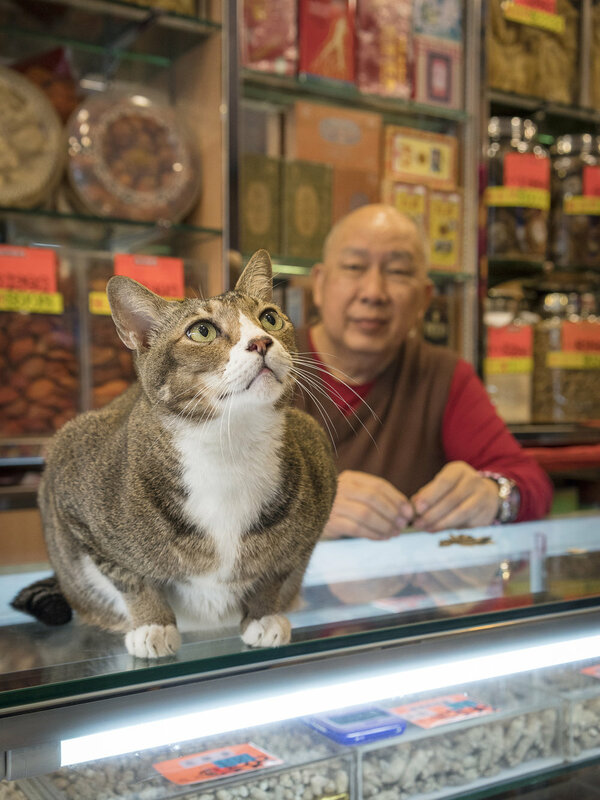 Hong Kong Shop Cats doesn’t only narrate the stories of the main protagonist; the shop cat, it also give us a unique insight in the traditional shops they inhabit. Prints are also available in limited editions online here. 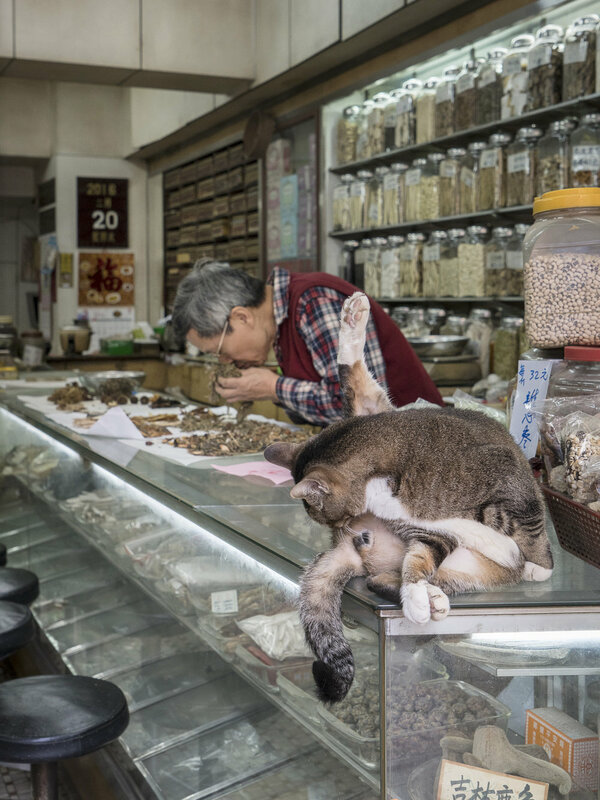 The cats are believed to be lucky by their owners. 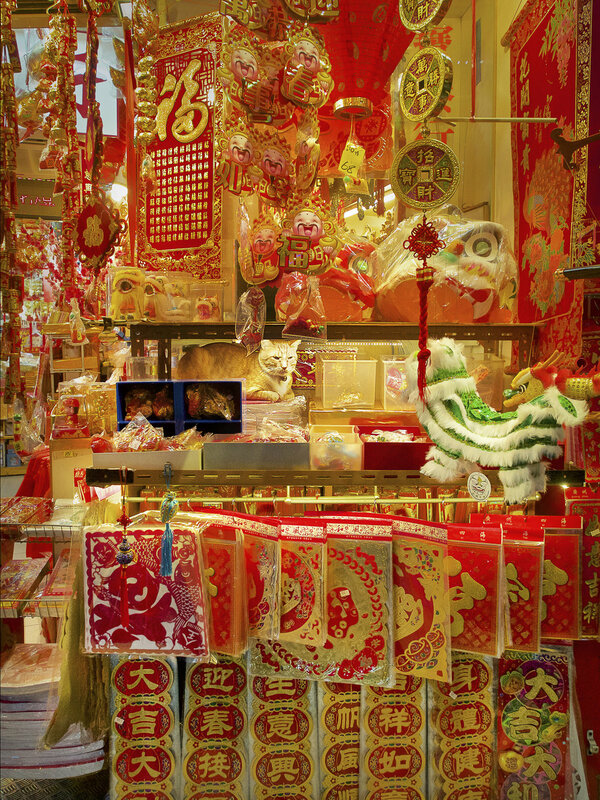 They are each an essential part of the life, business and family of the shops in which they live and hunt. 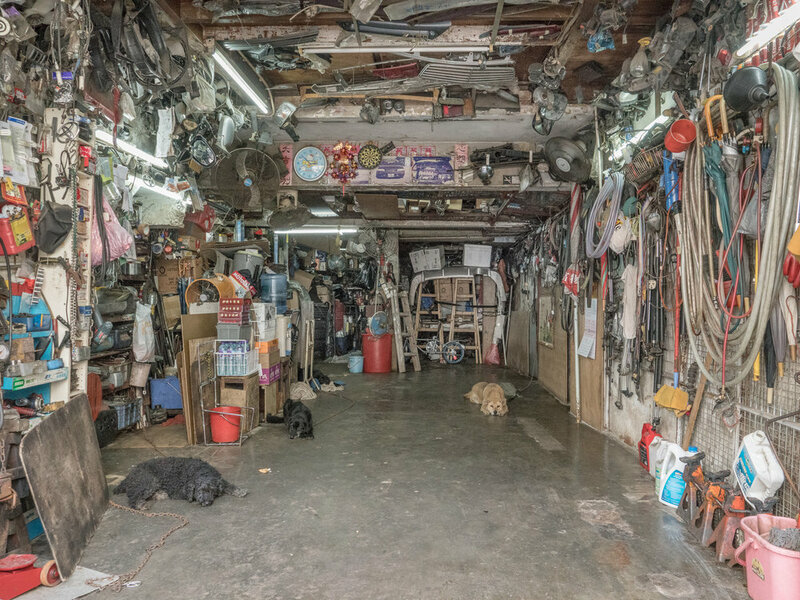 While some were sought out by the shop owners for their hunting skills, other cats made the decision to adopt a shop themselves, just turning up and making it their home. 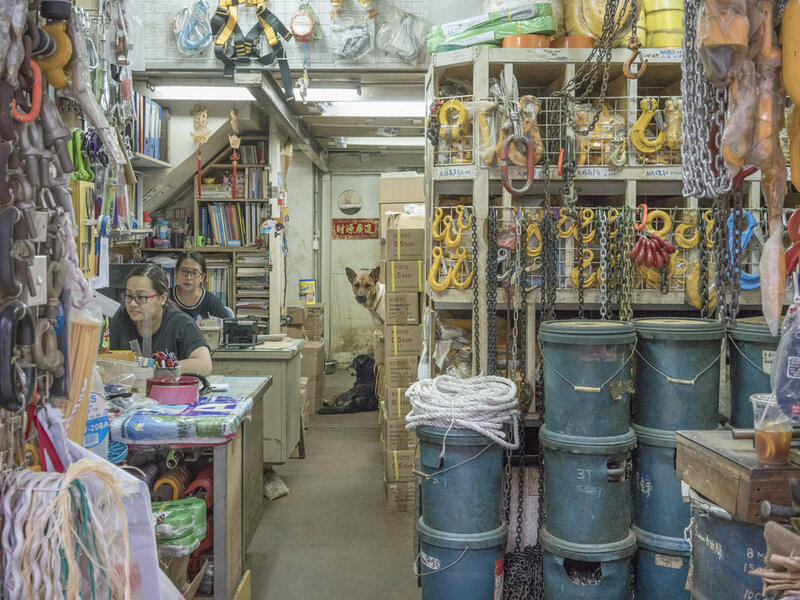 In certain areas, like Sheung Wan and Sai Ying Pun, where many of the cats in this book live, you’ll find almost every local shop has a cat. 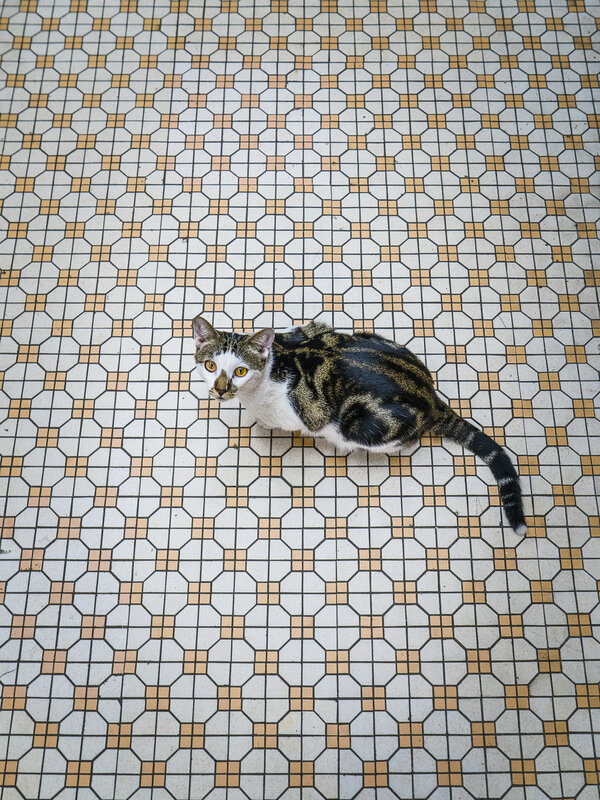 Owners believe the mere smell of cat heralds danger to mice, so even if the, ahem, less fit among them have lost their hunting instincts, just being in residence is enough. 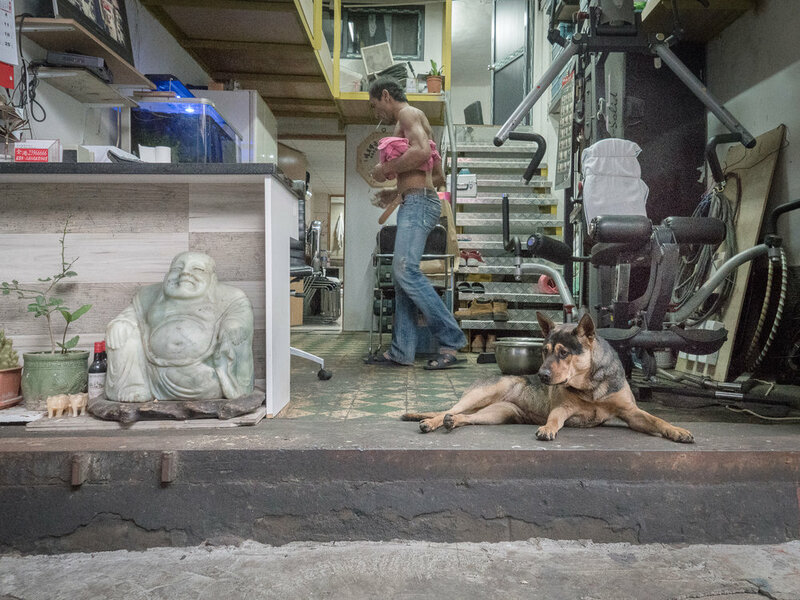 The shop owners, without fail, have grown to love their feline companions. Not only for the company they offer day in, day out, but also for their business skills. 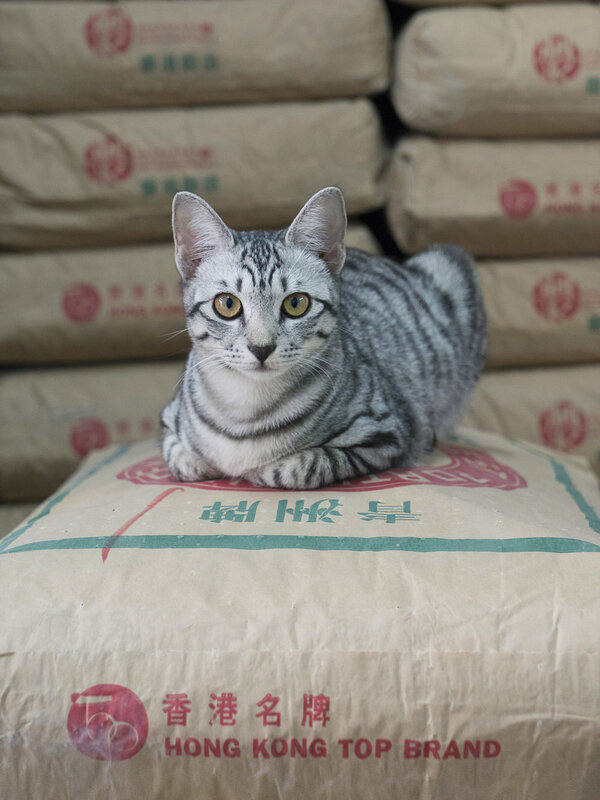 The cats, especially the playful ones, bring customers into the shop by enlivening the atmosphere and providing a friendly welcome. They create an extra bond with the customers and can even exert some of their mysterious influence in boosting sales. It seems the cats’ lucky reputation is more than just a legend. As per the artist: “In most modern cities there will be all kinds of rules and regulations against cats in shops. 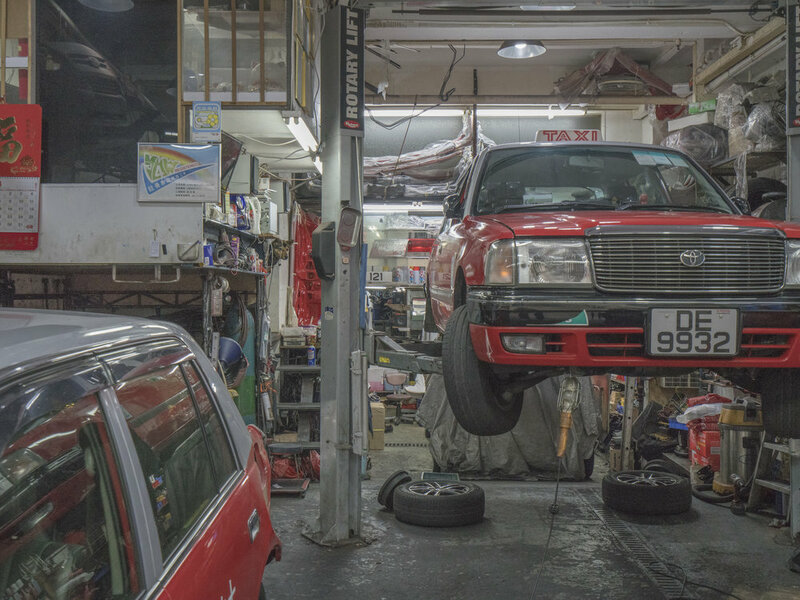 Not in Hong Kong, and I’m grateful for that. Here we can still witness this wonderful symbiotic relationship between human and feline, and the very reason for it harks back to why we domesticated cats in the first place, centuries ago: mice-catching and companionship. And yes, it’s about the cats. But it kind of isn’t at the same time. 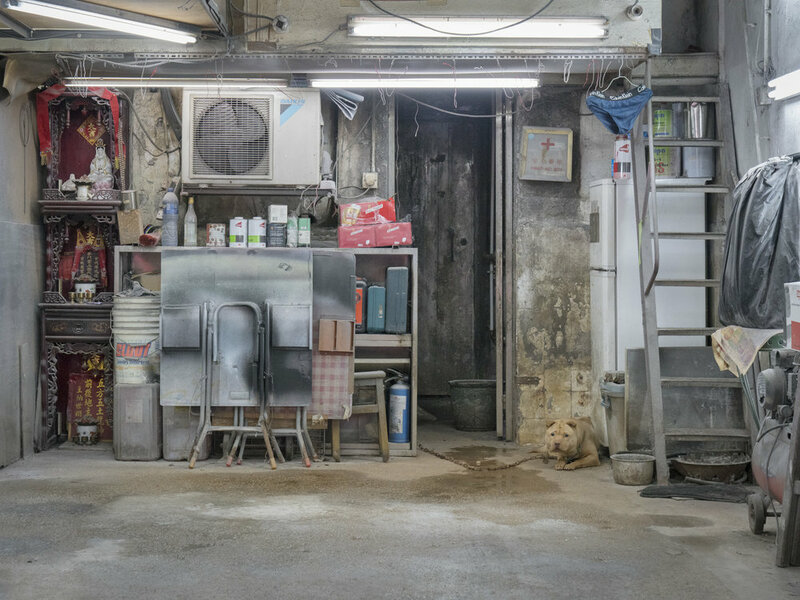 It’s just as much about the context; these chaotic-yet-organically-organised traditional Chinese shops that form beautiful photogenic subjects in their own right. Places in which time seems to have stood still, devoid of branding and all the other modern-day retail trickery we’ve grown accustomed to." This is photography. No double exposures, no composing or editing in Photoshop; just pure photography. world using just an ordinary camera and a clear glass panel. a small amount of something that remains after the main part has gone or been taken or used. "the fine residue left after the sorting of tea"
a substance that remains after a process such as combustion or evaporation. "the ash was a residue from coal-fired power stations"
the part of an estate that is left after the payment of charges, debts, and bequests. 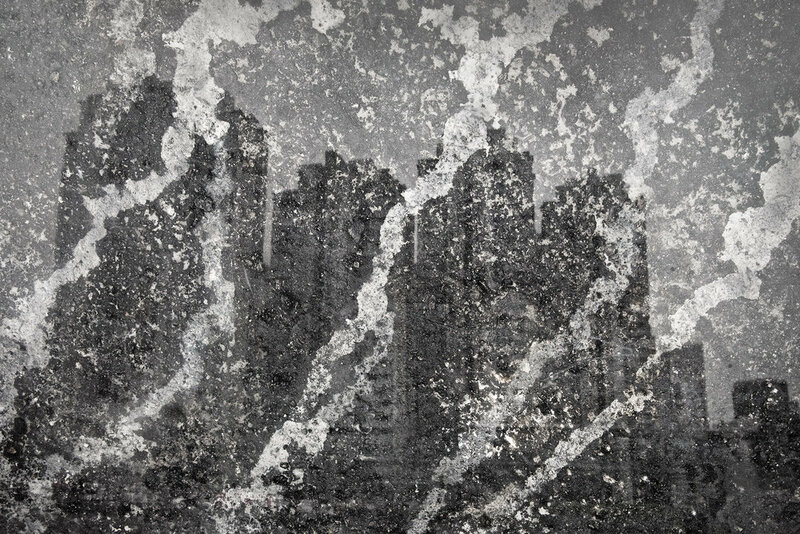 "the residue of the estate was divided equally among the cousins"
The texture of concrete epitomizes the urban landscape. 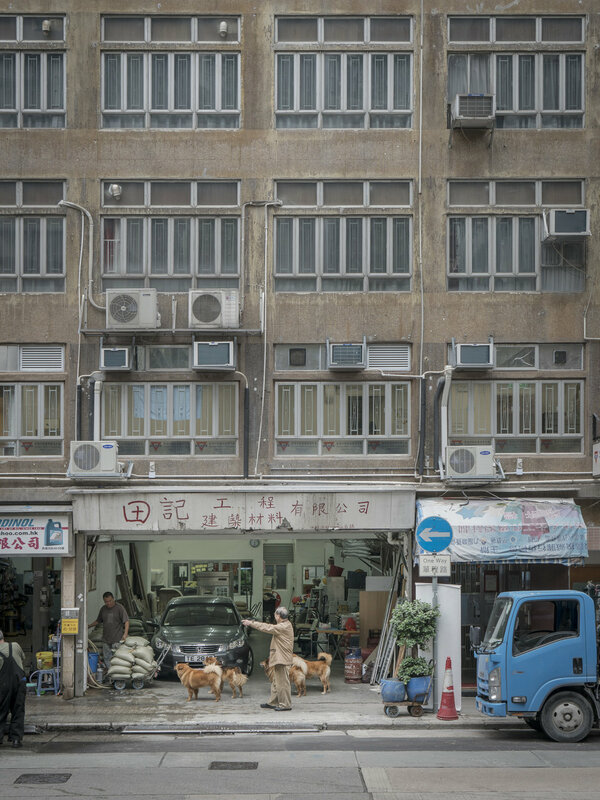 In addition Asian cities, such as Hong Kong, are deeply concerned with property, land, reclamation, demolition and so-called revitalisation. The urban project unfolds so fast in this part of the world that it starts to become almost natural. The Taoist sense of the ephemeral is in its element, and just as the brush strokes of calligraphy painted by water on the ground evaporates into the air, so do the buildings, they are not made as monuments of a time to be forever adored, instead they exist whilst they fulfil their function, easily replaced, easily forgotten. 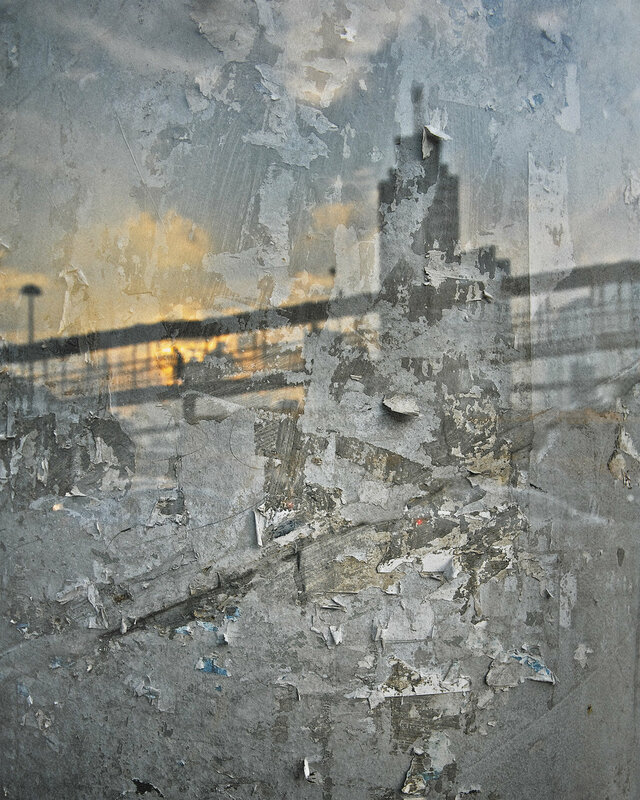 These photographs by Marcel Heijnen capture what is in flux, they act as the "residue" of an ongoing project and remind us to stop and see the beauty in urban decay, as if they were paintings made using concrete and glass. 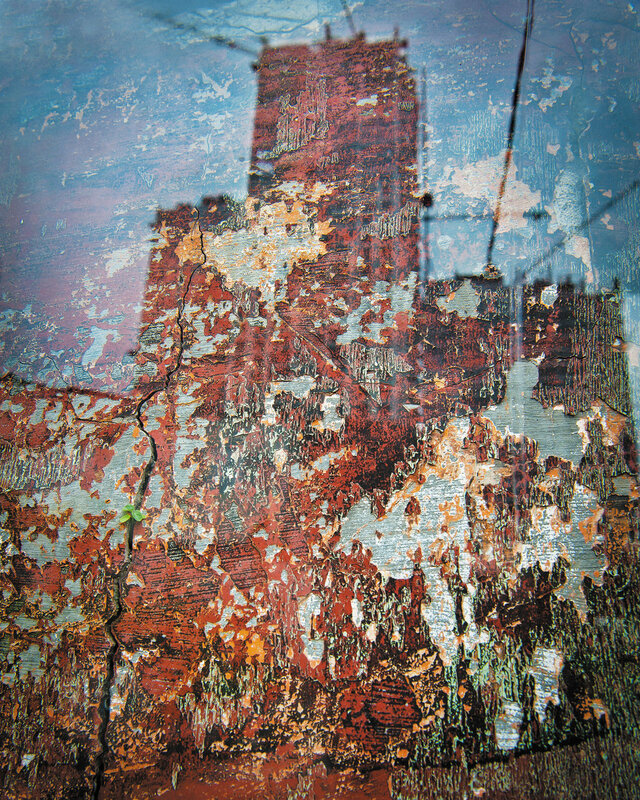 The double layer of the images intensifies the meaning behind the work and somehow they appear like reflections in a pool of water soon to be swept away, and is reiterated in the fact that these images cannot be repeated.